This week's antics at Yahoo! got me thinking about how being the best at something isn't really a guarantee of success. Yahoo Sports gets more traffic than ESPN, and that fact that most people (myself included) are surprised by that, tells you everything you need to know about what went wrong. Marketing seems obvious and unimportant, and there's a whole school of thought that says you should just let consumers create your marketing message for you, but let's take a look at TiVo. TiVo had just about everything going for it. First mover advantage, to the point that people initially referred to recording something on a DVR as "Tivo-ing" it. TiVo has a beautiful interface and consistently innovates. While I'm not privy to their marketing data, my hunch is that is began with their pricing model. 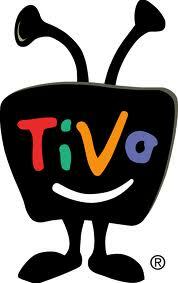 TiVo initially charged a monthly fee for their service with the option of paying a one-time "lifetime fee." They were the only game in town, so if you wanted a DVR, they were it. That said, the cost seemed pretty steep. Even more so when cable companies introduced their own DVRs that were integrated with their Set Top Boxes. The cable company DVRs generally had awful interfaces, but they were able to push them pretty aggressively, and though they charged a monthly fee for them, they were able to bury it in the overall bill-- to most consumers it was just a cable box that recorded things. TiVo still had a superior product, with a better interface, better features and more storage capacity. But they stuck to their old pricing model. Most consumers did the math and concluded that TiVo's features weren't $15 a month better, particularly since the cable company was giving them the box for free and replacing it if something went wrong. So TiVo became the domain of videophiles, a point of pride for those who took their TV seriously. and everyone else used their cable provider's DVR and stopped referring to recording as "TiVo-ing." And TiVo still didn't change their pricing model. The boxes themselves are reasonably priced (anywhere from $100 - $300) and are still vastly superior to anything out there: they now connect with Netflix, Hulu and Amazon in a Roku-esque manner, the interface is ever more beautiful and intuitive, they have a nicely done iPad app and if you use the AOL.TV app, you can even save shows from the app, regardless of your cable provider. The other plan would be to work harder on deals with cable companies that would allow them to market a co-branded device, something their website indicates they've done in the past and have an interest in doing again. Circling back to the initial idea here, had they reacted differently and marketed themselves differently when the cable companies started to introduce their own boxes, we might well still call it "Tivo-ing"